You can come up with the money for affordable cars in O’Fallon if you take the time to craft a sensible budget that not only takes your auto payment into consideration but costs for insurance, fuel, maintenance, housing, utilities and basic living expenses. With some careful planning, you can find a vehicle that is well within your price range and even have some cash leftover. Note that insurance costs come with a number of variables, including your age, driving record and the age and type of car. It typically costs from about 5-12% of the auto purchase price. Additional fees that are usually paid at the dealer cover registration and other charges that can range from $50-$125 or so. When financing, it helps to know your credit score in advance to give you some more negotiating room. 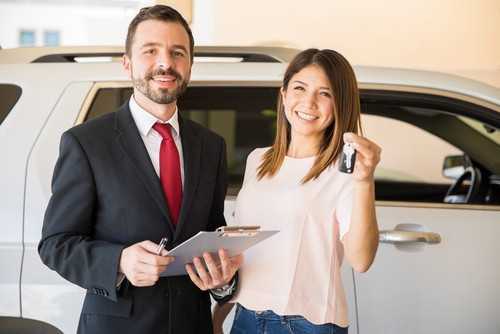 Many dealerships are happy to offer auto financing with any credit rating, even if you have no credit history at all or you have some blemishes on your report. The larger your down payment, the better. When selecting your pre-owned car, it is not as important for it to look good as it is to be in good operating condition and come with a high safety rating. An inspection by a certified mechanic of your choice can help you determine exactly what you will be getting in your purchase. 5 Star Auto Plaza always has a vast selection of affordable cars for sale in O’Fallon for a variety of buyers. Call us at (636)940-7600 with questions or stop by the lot to browse and talk with a sales professional.